When I finished my 2013 daily blogging challenge, I was ready for a couple days off, but I didn’t intend to let my blog gather so much dust. To be honest, the break this past month has been nice. I’ve enjoyed being released from the self-imposed pressure of posting something every day. The hubby: Hey. Where are you? The hubby: Whatcha doin’ in the bedroom? The hubby: Gotta question for ya. The hubby: Can you whip up something quick and easy for tomorrow? They threw together a party. The hubby: Oh, I don’t know. The hubby: Are those sausage balls a lot of trouble? Those would be good. Me: Do you have a way to heat things up? The hubby: Just the microwave. Me: Then sausage balls are out–they’re no good heated in the microwave. The hubby: And if it could be in a dish I don’t have to worry about bringing home, that’d be awesome. Me: (Well, crap. That rules out the L’il Smokies in the crockpot.) Sure. I’ll figure out something. The hubby: If it’s too much trouble, don’t worry about it. Me (wheels spinning): No, I’ll think of something, it’s fine. 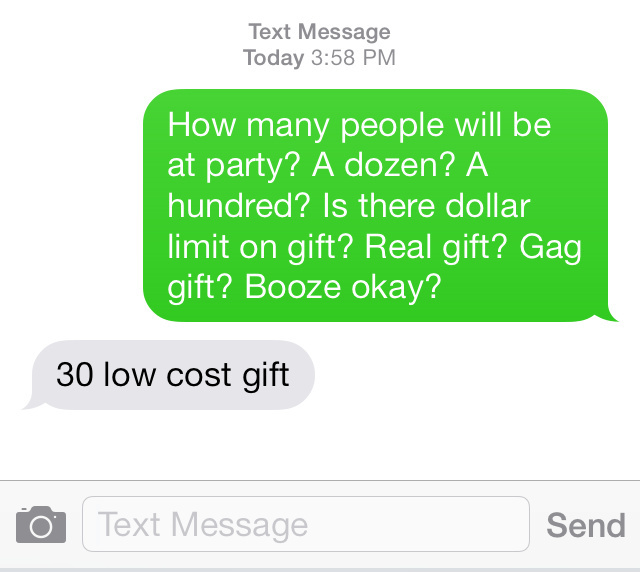 The hubby: And do we have something we could wrap up for a white elephant gift exchange? Me: Uhhh. (No.) Yeah. I’ll take care of it. 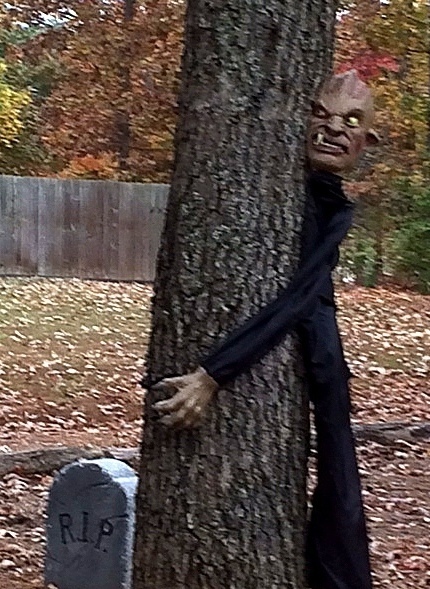 The hubby: Thanks, I’ll talk to you later. Love you, bye. 7:45 p.m. 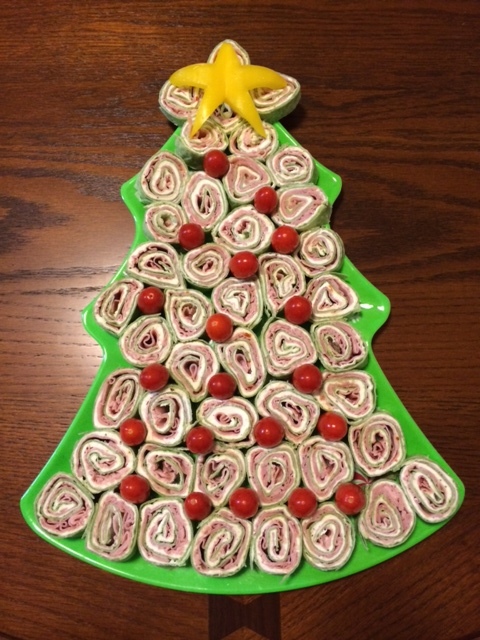 I give you and your coworkers a tree (thanks to the plate) made of Ham and cheese pinwheels wrapped in festive green tortillas, garnished with grape tomato ornaments, and topped by a somewhat anemic yellow pepper star. A couple months ago, I posted about things that bring a tear to my eye. It’s already a long list, but today I’m adding to it. I saw a WestJet video on Facebook this morning and got all choked up. I watched it again with the hubby after dinner and bawled again. And, moments ago, when Brian Williams featured just a clip of it on the NBC Nightly News, I cried over it for a third time. I’d like to believe that WestJet pulled off this huge surprise simply because Christmas is the season of giving, but I know they had ulterior motives…they’re using the footage in advertisements designed to attract more customers and boost their bottom line. But I do think that thanks to their generosity, a lot of happy passengers received gifts they might not have received otherwise–the expectant parents probably weren’t going to splurge on a big screen TV this year (I’ll save the debate about the materialism and commercialism surrounding the season for another time). It is my genuine hope that as recipients of such kindness, every one of those passengers, no matter how young, will find some way to pay it forward in the true spirit of Christmas. So, I don’t know if I had unrealistic expectations or if I got taken for a ride. Maybe the Grinch is having a laugh at my expense. Every year, when it’s time to decorate for Christmas, I fuss about assembling and fluffing the boughs of our artificial 6-1/2-foot tree then curse the hours it takes to wrap the entire thing in lights. So back in 2010 the hubby and I shopped the after-Christmas sale at the base exchange in Japan and got a great deal on a full-size, pre-lit tree. 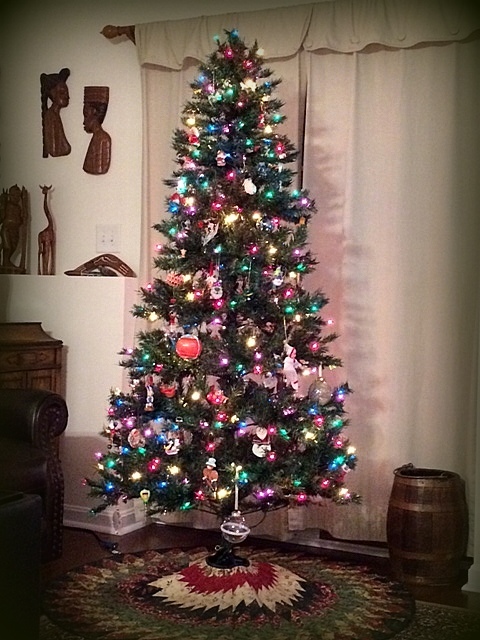 Due to limited space in our English living room, I only put up the 4-foot tree the past two years, but today, back in our spacious Virginia home, I opened the new tree for the first time. I was completely taken aback to find a tree, in three sections, wrapped in the same strings of Christmas lights I normally use and curse. I’m not entirely sure what I expected to see, but that was not it. I’ve never closely inspected the display models in the stores, so I don’t know how I thought the tree was going to be lighted, but I certainly was not expecting wires running all over the place. I thought I was getting away from visible wires. Did I get a cheap-o, low-quality tree? Or is this how all pre-lit trees are manufactured? All I can picture is some horribly underpaid worker in a Chinese factory slinging the Mandarin version of my curses as he wraps tree after tree in lights before disassembling them, folding them up, and stuffing them in impossibly skinny boxes. If I’d known that this was the concept behind a pre-lit tree, I would have saved our other, much nicer, artificial tree. If visible wires are inescapable, I could have wrapped our tree in lights one final time, being careful to line up the electrical connections where the tree breaks down. Then, in January, I could have unplugged the light strings, leaving them all in place on the branches, and crammed the three sections of the tree back into the original box. Viola. Next year a pre-lit tree. I’d feel much better to know if anyone else has had a similar experience with a pre-lit tree. Was my discovery normal? Do they make pre-lit trees without traditional strings of lights running all around the branches? Has the Grinch been messing with my tree? Update December 4: I took a field trip to Lowe’s today and looked carefully at all of their pre-lit trees. They all seem to have strings of regular Christmas lights wound through their branches. So it appears that I did not get Grinched after all. Whew! Have you seen my muse? My muse has been AWOL for a few weeks now. I hope that she’s on a beach somewhere knocking back margaritas and is not lying in a shallow grave in the woods. I hope that she’ll return forthwith, tanned and inspired and not too hungover. In her absence though, I’m being forced to turn elsewhere for blogging inspiration in order to uphold my commitment to post every day in 2013. First, I’ve been feeling out of sorts lately. I’m normally pretty even-keeled, not one to sweat the small stuff, able to let the nonsense of life just flow around me. But recently I’ve been kind of snarky, quick to criticize, and slow to let things go. I don’t like being inside my own head when I’m like that, so I’m sure those around me are about over it, too. I need to refocus. Get my zen back. I think if I concentrate on all that is good around me, and consciously show a little gratitude for my blessings, it’ll go a long way toward restoring my natural balance. 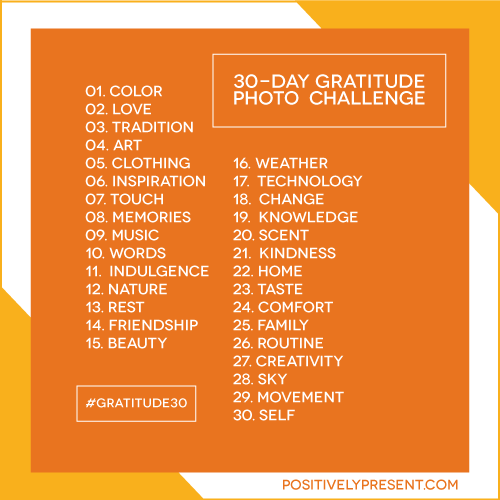 So I’ve found a 30-day gratitude photo challenge that’ll fit perfectly into November (it is the month of Thanksgiving, after all). I plan to tackle the challenge using only my new iPhone’s camera, instead of my trusty Kodak, so there’ll be a bit of a learning curve that will hopefully prove to be valuable experience. 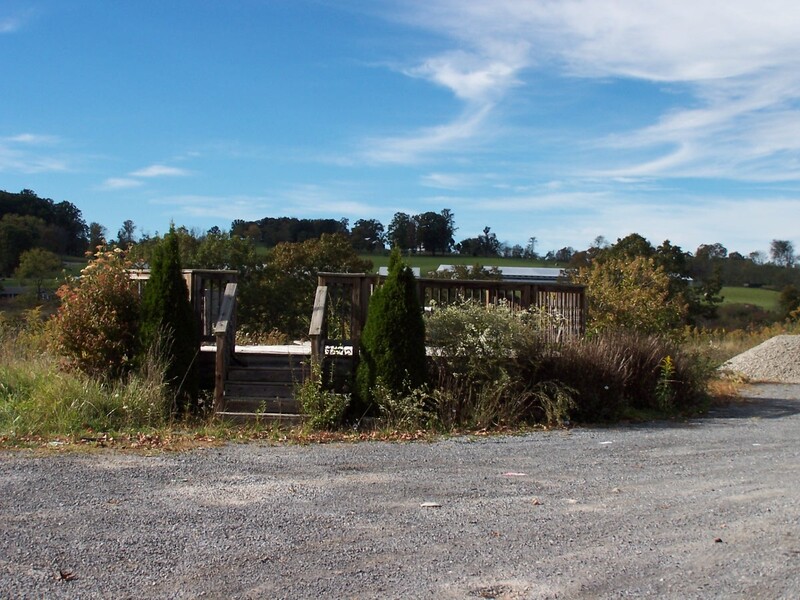 So, I’ll be here tomorrow, with a new commitment to both writing and photography. If all goes well, by the end of the month I’ll have an improved attitude firmly in place. Meanwhile, if you see my muse in your travels, please tell her to drop the tequila and report for work. 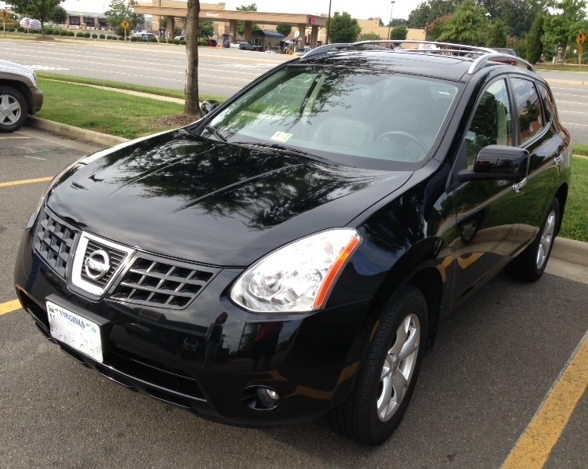 My new-to-me Nissan Rogue is picking up where my previous vehicle left off five years ago–collecting flat tires. If there is a nail or screw within 50 yards of the vehicle, it will be drawn to my tire like lemmings to a cliff. I’ve had the Rogue less than two months, got brand new tires put on it two weeks ago, and this Friday it had to go in the shop for a tire patch. Thank heavens for the tire pressure monitoring system…at least the Rogue tells me there’s an issue before I head out to work and find the tire rim sitting on the garage floor. If you ever need a snake oil salesman, just let me know. I can hook you up. Not quite George Strait’s “oceanfront property in Arizona” but it doesn’t sting any less. 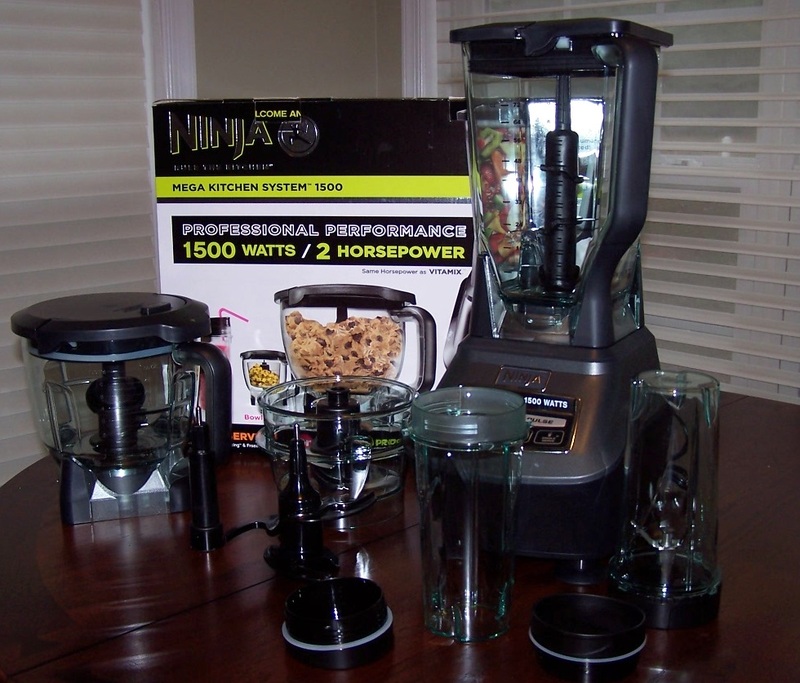 Seeing this on Wednesday made me wish for a double batch of frozen margaritas from the Ninja. Driving in England for two years was an excellent refresher lesson in how to properly and politely use the highway. The last two months of driving up and down I-95 have clearly demonstrated that this knowledge has been forgotten (never learned?) here in Virginia, so I’d like to pass on a few pointers. However unrealistic impossible, all of the following assume multi-lane highways, with free-flowing traffic (no accidents, no construction, no military convoys) and ideal driving conditions (no fog, no rain, no snow, no ice, no sun glare). 1. Know before you go. Highway speed limits in the US generally range from 55mph to 85mph. If your vehicle is not mechanically capable of achieving the posted speed limit, or if you are too timid to navigate the roadways at that velocity, choose another route. 2. Slow traffic keep right. If you are only willing to go as fast as the posted speed limit, the right lane is your home. Stay out of the other lanes. If you are comfortable driving somewhat above the speed limit, you might be able to drive in the middle lane, depending on who’s out there on the road with you. No one, and I mean NO ONE should be traveling in the far left lane. It is meant as a passing lane. 3. If you’re gonna pass, pass. Regardless of whether you choose the middle or right travel lanes, you might come up behind a vehicle moving slower than you. In this case, you will need to move one lane to the left in order to overtake the slower driver. Make sure you have a large gap in traffic on your left before changing lanes, then step on the gas! 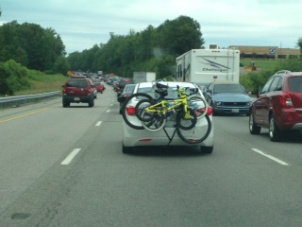 Do not move into the left lane if it is going to take you five miles to finally overtake the slower car. 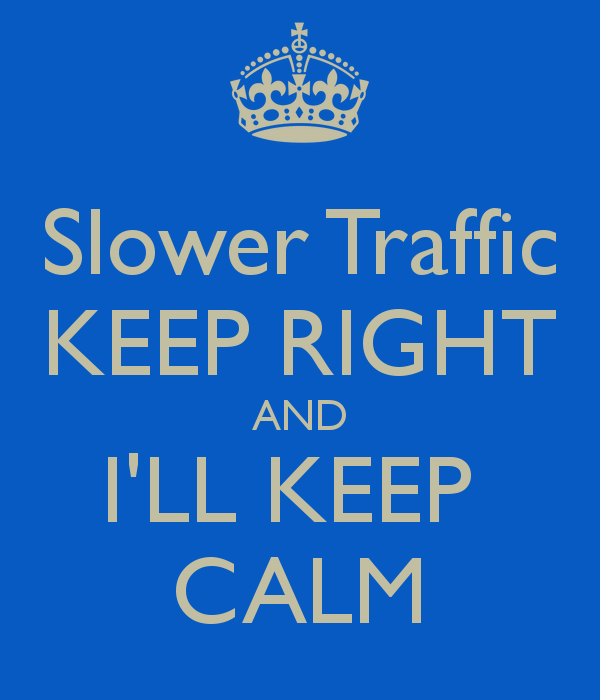 As soon as you have safely passed the slower car(s), pull back into the lane to your right. 4. Be the other driver. Put yourself in the other guy’s shoes. Anticipate what he wants. If you are in the center lane and he comes charging up behind you, so close that in your rearview mirror you can read the barista’s notes on his Starbucks cup, he wants to get around you. If he does not have room to move left, you might need to speed up until he can find his window of opportunity. Or maybe, just maybe, you could be courteous and move to the right. If everyone on the interstates would adhere to these few simple guidelines, driving in the States could be just as civilized as driving in the UK. 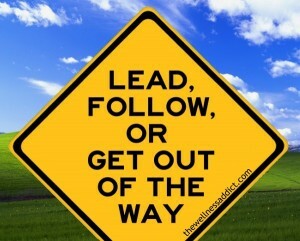 So please, sir–yes, you in the rusted out Civic–lead, follow, or get out of my way. Posted by dreaminofobx on October 9, 2013 in How It Is, Observations, What's She On About?